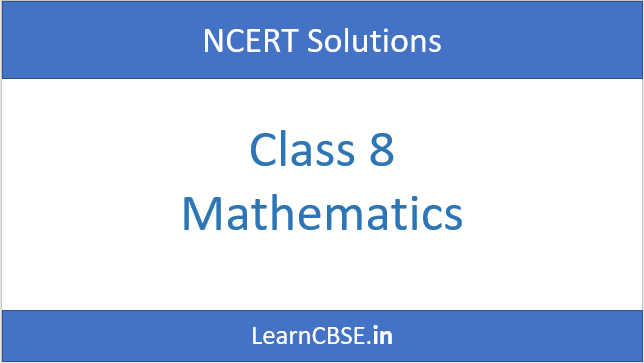 NCERT Solutions for Class 8 Maths solved by Expert teachers from LearnCBSE.in. Class 8 Maths NCERT Solutions are created with utmost care and accuracy. We have reviewed, corrected typos and cross verified the solutions for the best, most detailed, accurate Free Solutions for Class 8 NCERT Mathematics.NCERT Book For Class 8 Maths strictly written as per latest CBSE guidelines. NCERT Solutions for Class 8 Maths are completely Free and you can COPY, Download and Create PDFs. 14.5 Can You Find The Error?